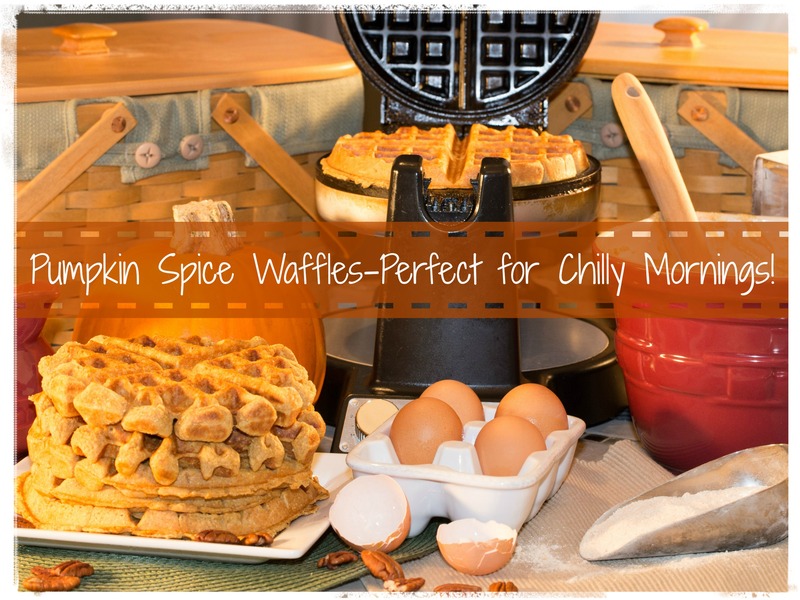 If you love all things pumpkin, crisp mornings and a hearty breakfast, you’ll love these pumpkin spice waffles. Made with things like whole-wheat flour, flaxseeds and pumpkin puree, one waffle will make your stomach sigh with contentment from breakfast to lunch. You can make your own pumpkin puree from those leftover jack-o-lanterns, or buy canned pumpkin–either way, you’ll love these waffles–and not just because they’re good for you! Mix the following ingredients in a medium-sized mixing bowl. Mix well until all of the dry ingredients are incorporated into the wet ingredients. 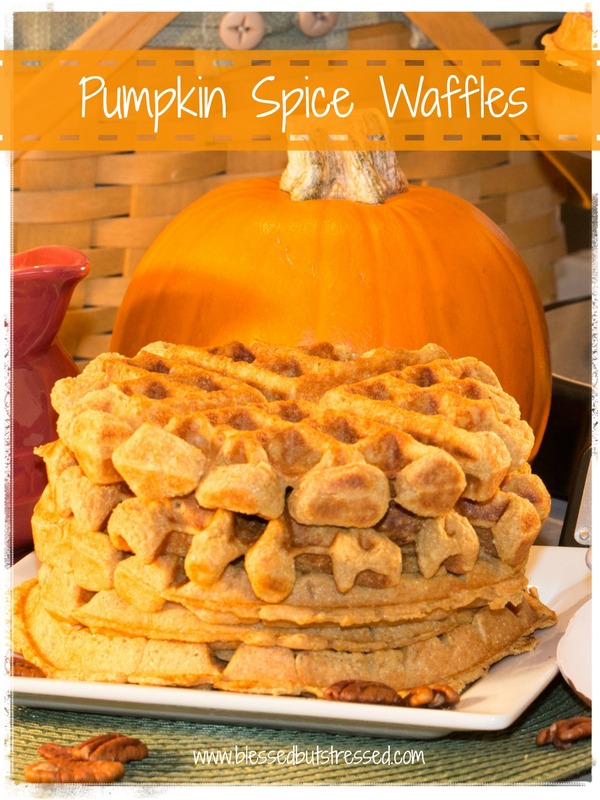 Slowly add about two cups of water–until the batter reaches the perfect consistency for your waffle maker–my husband describes it as ‘runny but thick.’ The amount of water you need will depend on the consistency of your pumpkin puree. Enjoy! We always use a spritz of cooking spray on both sides of the waffle iron (even though it’s a non-stick surface). 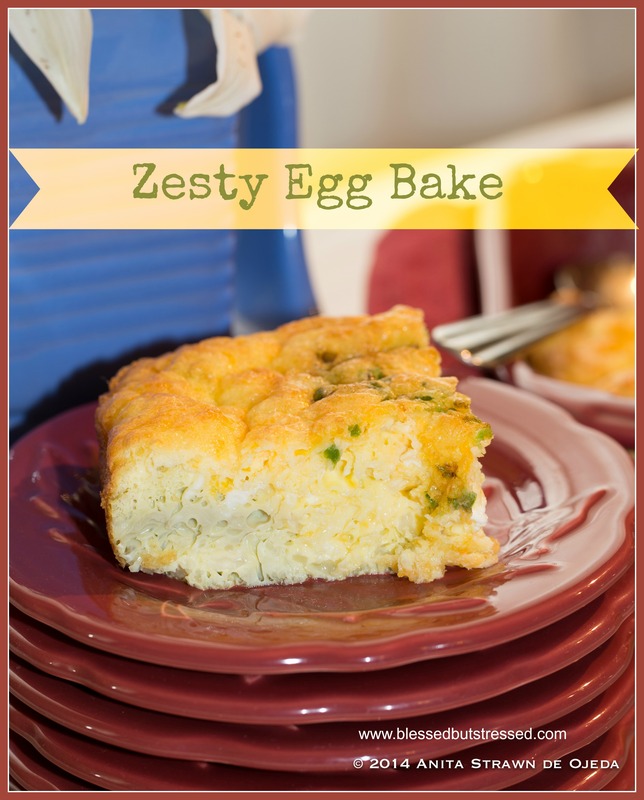 This quick and easy recipe works well wether you’re serving a brunch or just want something different to go along with your potatoes at breakfast. Melt the butter in a small frying pan and sauté the jalapeño and allow it to cool whilst you prepare the other ingredients. Or, if you want to save time, just use a can of diced green chilies or jalapeños). Whisk the eggs, salt and baking powder together in a medium-sized bowl. Mix well and then pour into the lightly greased baking dish. Bake for 45-50 minutes (until a toothpick inserted in the center comes out clean). Serve hot with your favorite salsa. The first granola recipe I tried had TWO cups of oil for 12 cups of oats. Ten years ago, I thought nothing of it. If you bake two pans at a time, make sure you exchange the pan on the top rack with the pan on the bottom rack each time you stir the granola. 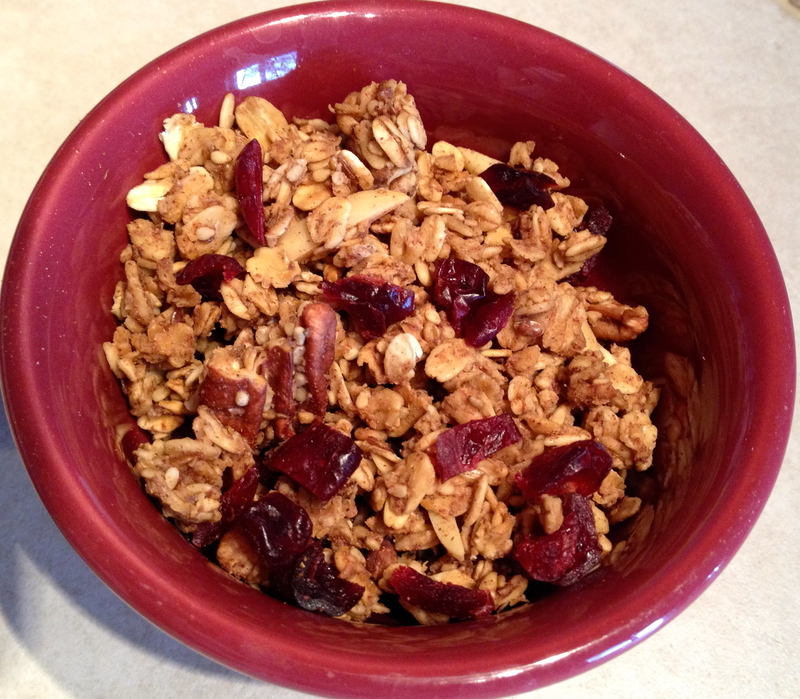 Allow the granola to cool thoroughly before placing the granola in an airtight container. If you like, once the granola has cooled, add chopped craisins or raisins. 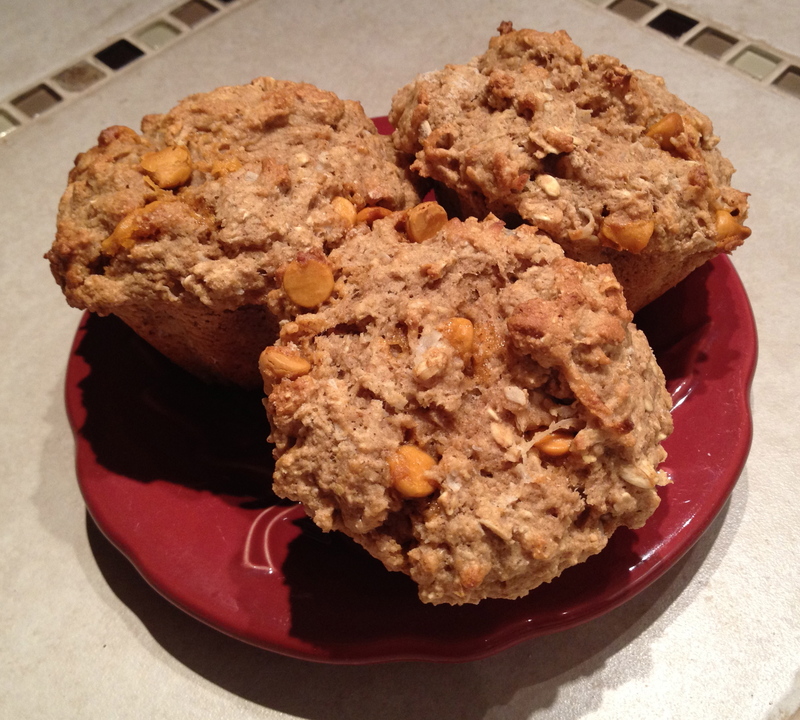 These muffins taste good enough to serve for dessert but are healthy enough to serve for breakfast! I love the taste of butterscotch cookies, but hate how unhealthy they are. This lower fat recipe has less sugar and fat than it’s cookie counterpart, so it’s perfect for breakfast! Mix just until all of the dry ingredients are wet and place in greased muffin tins (about 1/2 cup of batter in each tin). Bake at 380˚ for 25-30 minutes. If you’d like to know why I eat the way I do, check out my Healthy (er) Choices Manifesto. 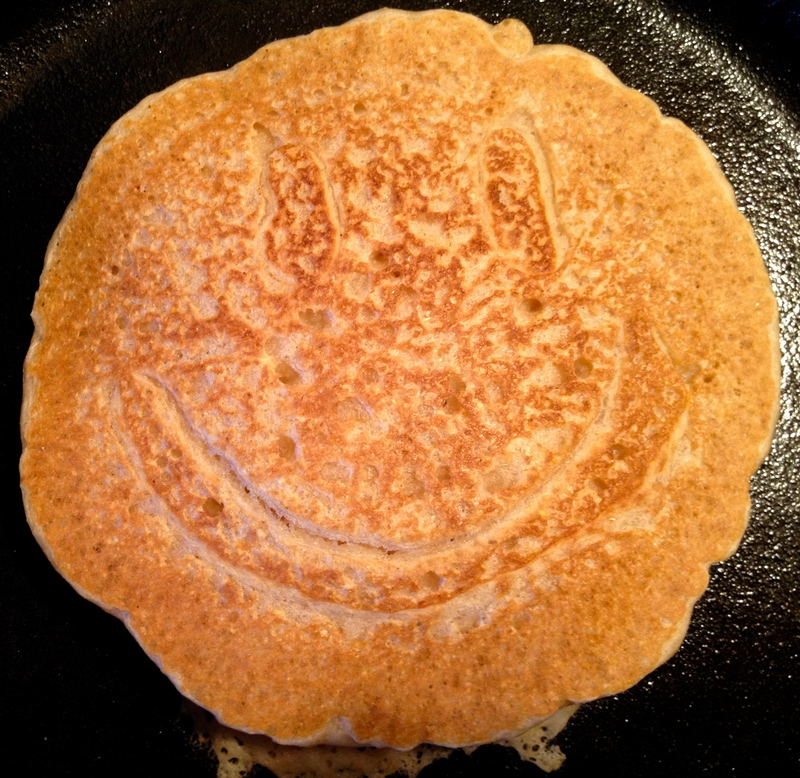 This pancake smiles for a reason! My family LOVES pancakes, so when we started eating healthier, our pancake mix was the first item we revised. If you’re starting out in your healthier eating quest, you may want to use half white flour and half whole-wheat flour. Mix the dry ingredients together and then add 2 ½ cups water—you may need slightly more. The batter should be on the thin side. Cook on a preheated skillet or non-stick frying pan (you’ll want to use a paper towel to spread a small amount of oil on the pan between pancakes). Makes 8-10 large (5-6 inch diameter) pancakes. If you’d like to know why I wanted to cook healthier for my family, read my Healthy (er) Choices Manifesto. Ever wonder what to do with all of those cans of leftover pumpkin from the holidays? Here’s a healthier alternative to a store-bought scone that’s easy to make. Cut in ½ c. butter or coconut butter to form a crumbly mixture. Optional: 1 c. chopped nuts (I like pecans). Use a large ice-cream scoop or ½ cup measuring cup to scoop the batter onto a lightly greased cookie sheet. Press flat and bake for 25 minutes. If you prefer your scones to be triangular, divide the batter into four equal portions and pat them into circles on a floured surface. Cut each circle into six triangles and use a spatula to move them to the cookie sheet. I usually only bake as many as I need and freeze the rest on a cookie sheet until they are frozen thoroughly and then transfer them to an airtight container and bake them as I need them. 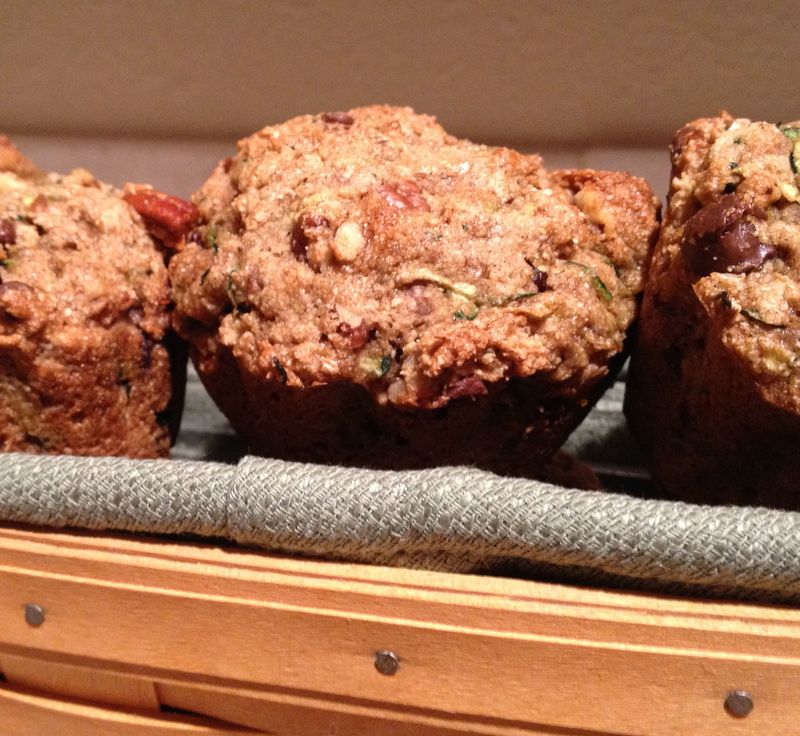 Vegan Zucchini Muffins with pecans and chocolate chips. Mix gently, just until the flour is incorporated into the wet mix. Scoop into greased muffin tins (about 2/3 c. of batter for each muffin—unlike muffins with white flour, these will not rise overmuch, so it’s ok to fill each one a little past the top). Bake at 380˚ for 30-35 minutes.